Pair of gilt Italian beaded and droplet wall appliques with lovely time worn patina. 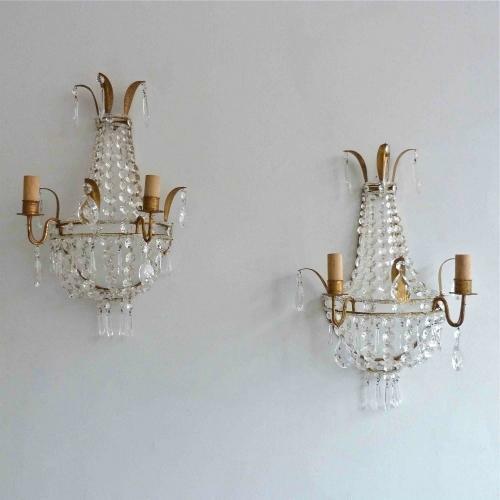 These can be used as decorative candle sconces or easily re-wired to UK safety standards and used as wall lights. Circa 1930.